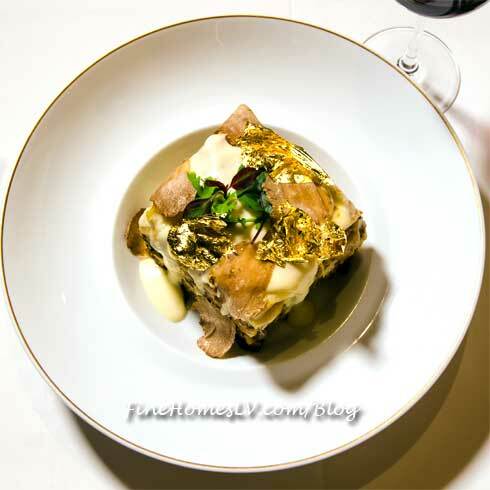 Once-in-a-lifetime culinary experience $100 “Diamond and Gold” Lasagna can be indulged at Portofino at The Mirage Hotel & Casino Las Vegas. Designed by Executive Chef Michael LaPlaca, this fabulous feast features only the finest ingredients available, this luxurious dish is available throughout December for the over-the-top foodie. 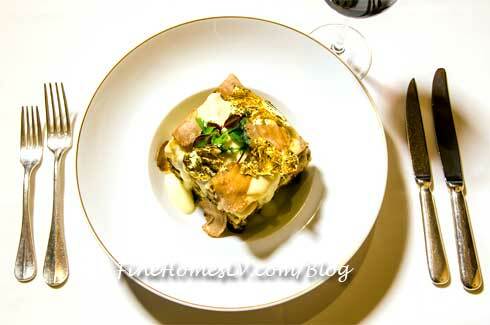 The “Diamond and Gold” Lasagna will tantalize taste buds with layers of pasta stuffed with porcini mushrooms, Iberico ham and Prosciutto di Parma. A generous serving of 24-month-aged Parmigiano-Reggiano, buffalo mozzarella and Kobe Bolognese is spread between each layer, making the dish melt in guests’ mouths.